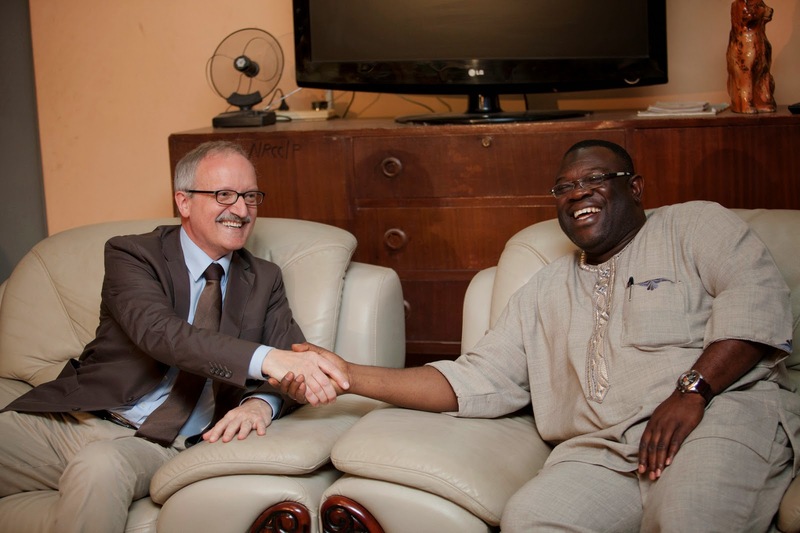 The Vice-President of the International Fund for Agricultural Development (IFAD), Michel Mordasini, visited Ghana last week. 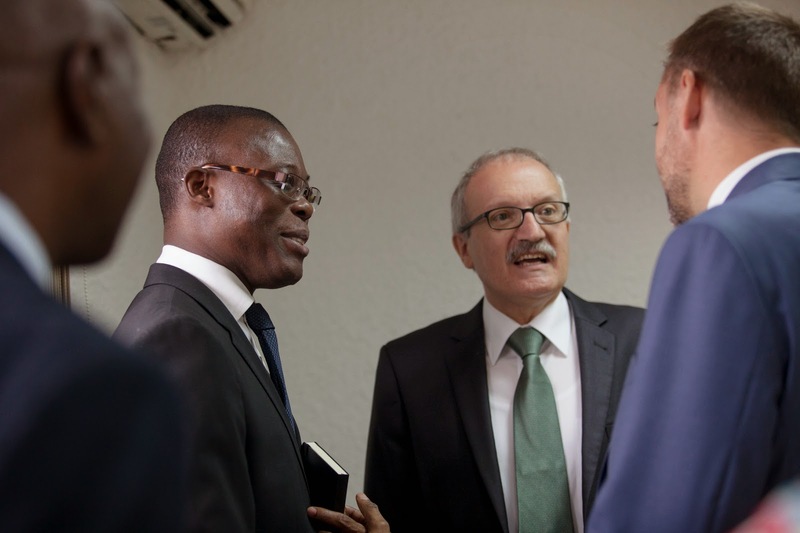 He had the opportunity to meet with government officials including Fiifi Kwetey, Minister of Food and Agriculture and Seth Tekper, Minister of Finance, to discuss the country’s agricultural and rural development agenda and to confirm IFAD’s steady support to Ghana’s development efforts. The highlight of his visit was a 2-day field trip to the Northern Region to gain first-hand knowledge of two IFAD-financed programmes: the Northern Rural Growth Programme (NRGP) and the Rural Enterprises Programme (REP). 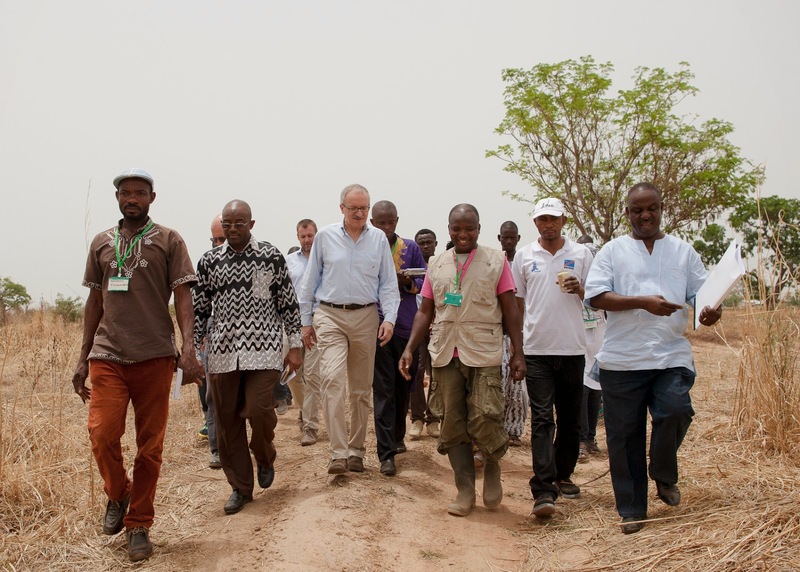 He was accompanied on the field trip by the Deputy Minister for Food and Agriculture, Yakubu Alhassan (MP); Mathias Meyerhans, Director, Administrative Services Division, IFAD Headquarters and staff of the IFAD Country Office (ICO). The visit gave Michel Mordasini and his team the opportunity to assess projects successfully executed by the two programmes. He met with authorities of the Savelugu Municipal Assembly and attended an exhibition at the forecourt of the Savelugu Municipal Assembly prepared by clients of the REP. 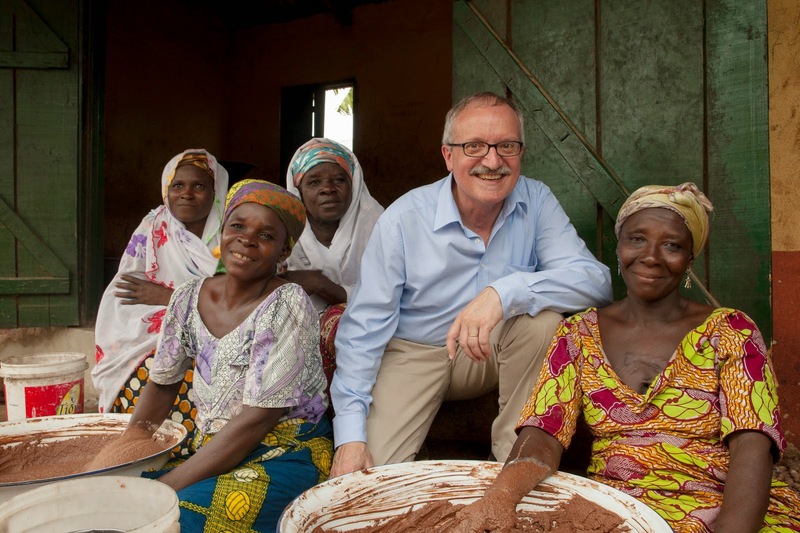 He also visited a local soap processing group in Savelugu and the Kanvili Women’s Shea Centre. Mordasini has a keen interest in private sector-led development. He had the opportunity to interact with the Savanah Farmers Marketing Company (SFMC) and the supply chain manager of Nestle. He was briefed on the private sector partnership initiatives that the NRGP has undertaken to facilitate the marketing of maize, millet and soya, grown by farmers participating in the project. His field trip ended with a visit to the Tibzaa Ranch, which partners with the NRGP to provide training and capacity building to guinea fowl producers. Mordasini during visit to the Tipzaa Ranch. On his left is Yakubu Alhassan, Deputy Minister for Food and Agriculture and on his right is Sintaro Mahama, CEO of Tipzaa Ranch. The Vice-President was impressed with the performance of the NRGP and REP and enjoyed seeing first hand examples of projects that actively promote rural transformation development goals. He did emphasize the need for the NGRP to promote off-farm activities as well in order to provide additional employment ad income-generating activities. Mordasini is warmly welcomed by Alhaji Mohammed Muniru Limunathe, Northern Regional Minister, during a visit to the Minister’s residency in Tamale. 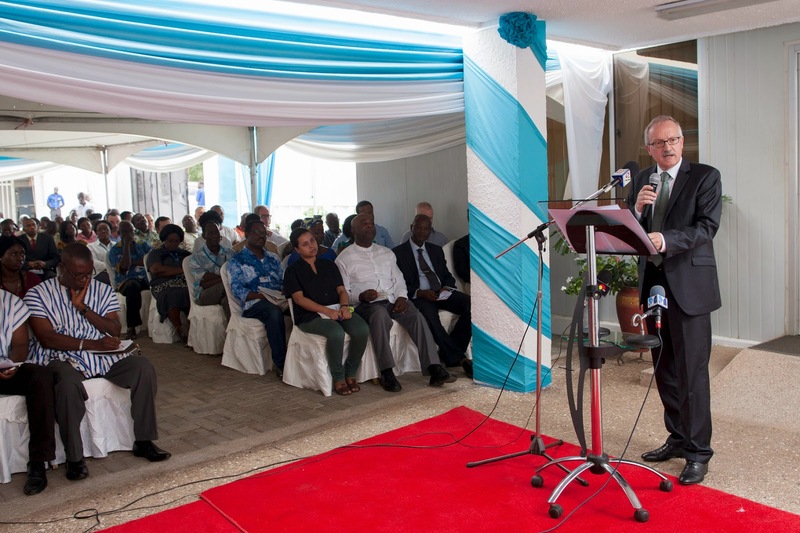 On the last day of his visit, the Vice-President participated in the official inauguration of the new IFAD/FAO multi-purpose office complex in Accra, generously made available by the Government of Ghana. Ulac Demirag, Country Programme Manager, on behalf of the ICO, thanked the Vice-President for the time spent with IFAD staff to share and discuss key initiatives at IFAD and learn more about IFAD’s work from the ICO’s perspectives.